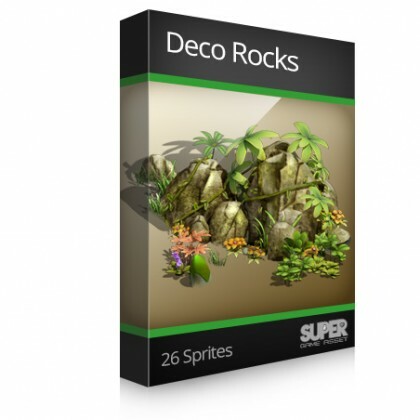 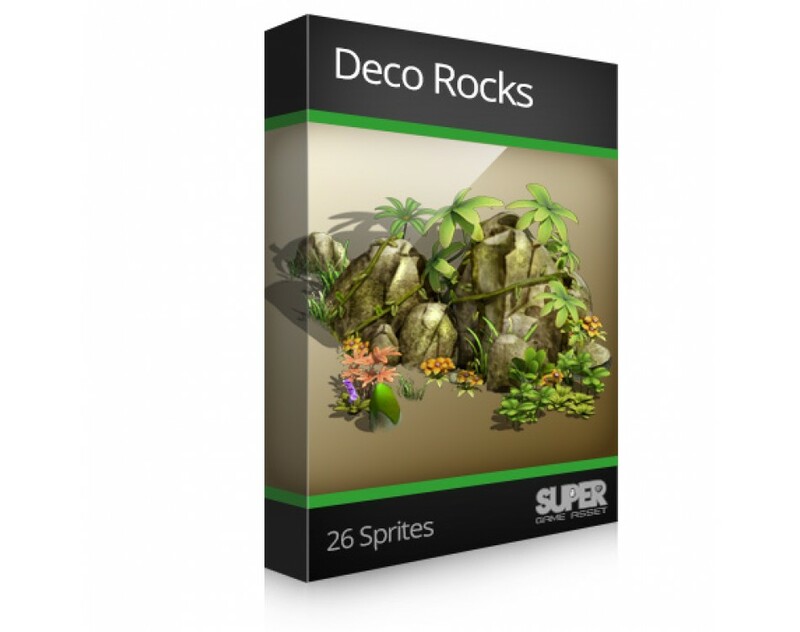 This package contains decoration rocks with natural vegetations, and flower. 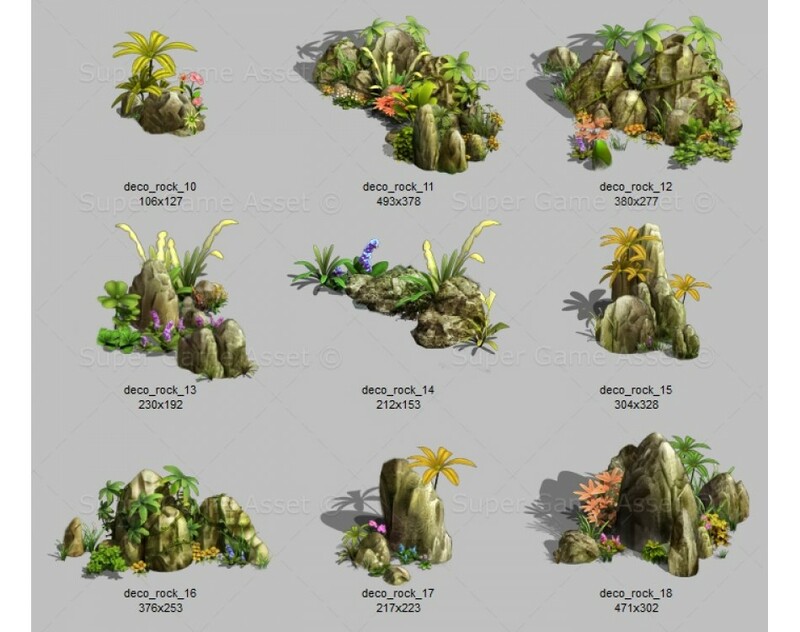 You can use them to decorate and quickly block out backgrounds on game maps. 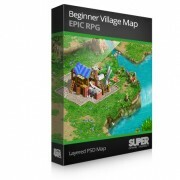 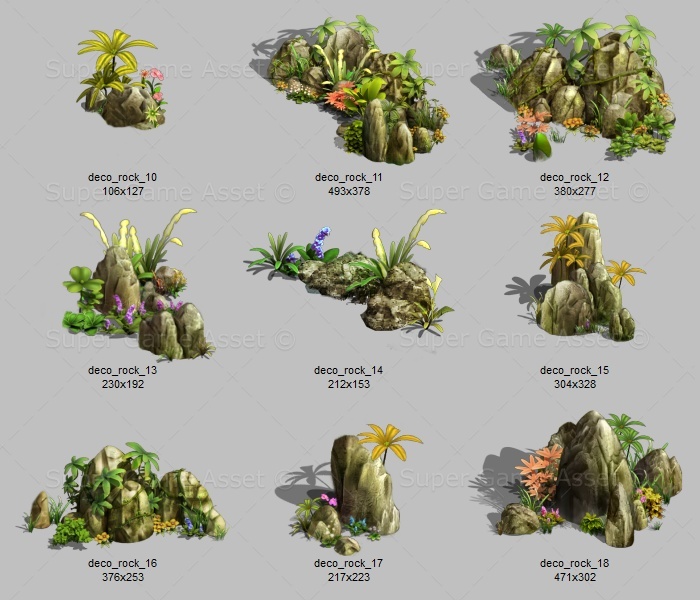 It can be use for top down perspective game environments. 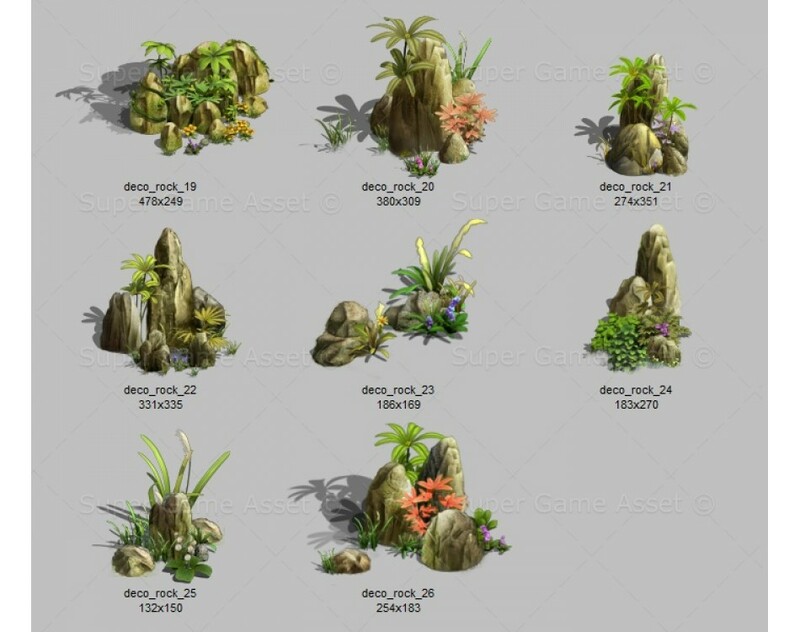 Sprites are 3D rendered and then touched up in photoshop, designed to look cartoony and cute, suitable for casual, mobile games. 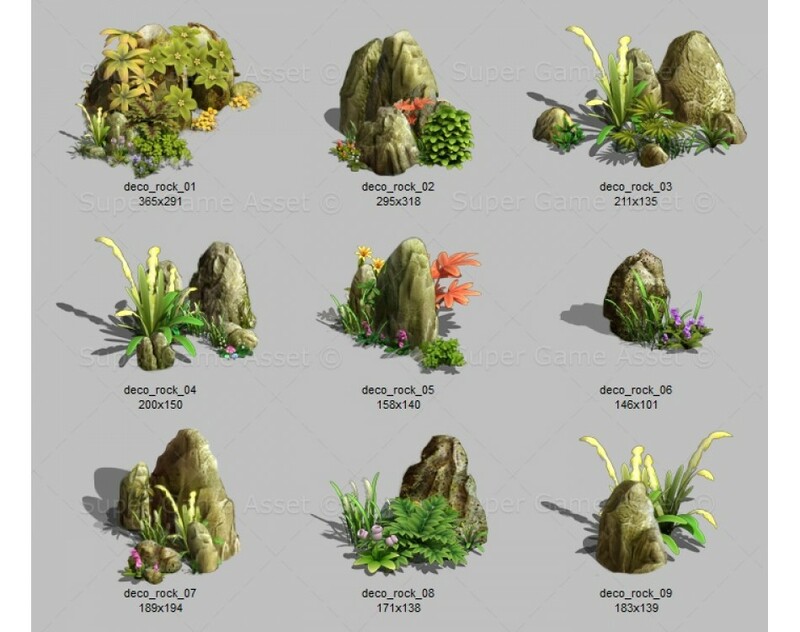 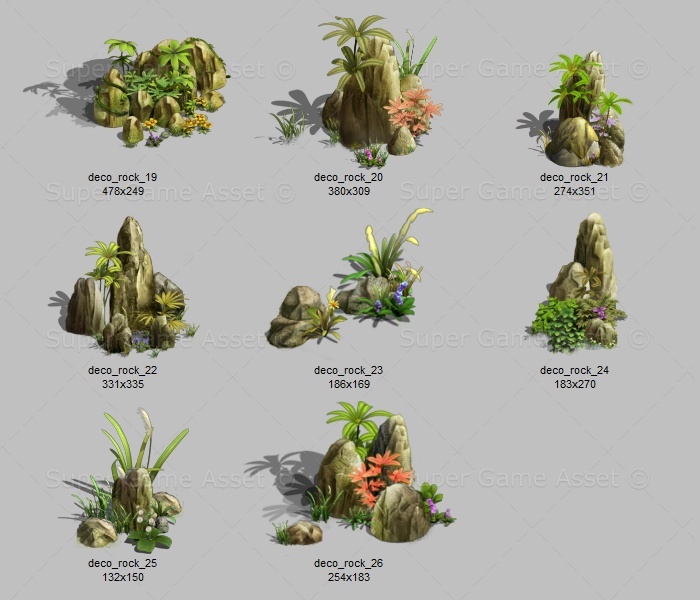 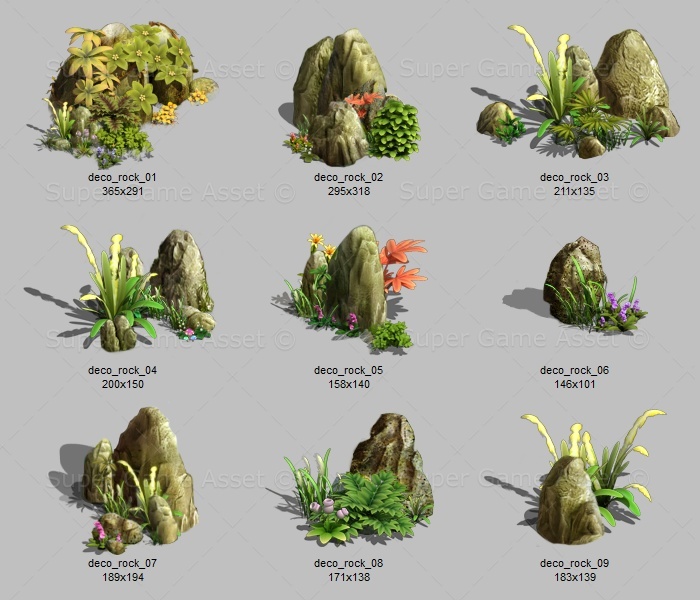 See screenshot for detailed list of each rock and their image size.